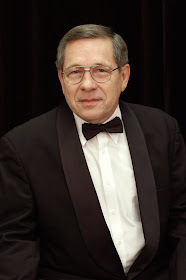 The band is all-volunteer with the exception of the Director, Larry Baedke, who receives a small stipend for all the time and effort that he puts into the planning and preparation for our performances. Members of the band include school music professionals (current or retired), former professional musicians, and people from all professions and walks of life who have been performing music for most of their lives. The band operates on donations from the members, the sponsors of our concerts, and a small but growing number of kind-hearted individuals who wish to donate. Donations support our continued ability to present concerts and add to the music library. We are a tax exempt, non-profit 501(c)(3) organization, which means your donations to Mesa City Band are tax-deductible! If you would like to donate, please send us a check along with your name and address to the address below and we will respond with a "Thank You" and a receipt. If you include your email address, we will email the receipt instead, saving postage, and you can print the receipt at your convenience. Does your band or any members need instruments? I have a Besson Euphonium in excellent condition that I can no longer use. I am hoping to sell it. My email address is oldtech328@yahoo.com. You mention sending a donation receipt via Email to save on postage. Why don't you enhance this web site with an https// capability to accept donations so that donees can also save on postage?